Thames Street is a narrow river-side street in Vintry which, during the reign of Henry VIII, contained the grand residences of many courtiers and merchants. Wool exporter and Lord Mayor of London John Lovekyn had a grand mansion in Thames Street overlooking the river. Sir William Walworth also lived here. The street represented money, authority and power. Historically, the area gained fame for the two greatest benefits to mankind, wine and printing – and for the unfortunate legacy of mob violence. These riots have gone down into history. They are represented in a remarkable set of early London cityscapes. Vintry is one of the twenty-five wards of the City of London and owes its name to its former status as a site for the wine merchants of Bordeaux who stored and sold their products there. The ‘Worshipful Company of Vintners’ is one of the Livery Companies which probably existed as early as the twelfth century. It received a Royal Charter in 1364. Chronologically, these merchants were preceded by cooks as has been recorded in Fritz-Stephen’s (who was clerk to Thomas à Beckett) lively Description of London of 1170. In this, the first general description of the metropolis, the author lists in great detail the cook shops on the banks of the River Thames which he thought the acme off civilization, ‘at any time of day or night, any number could be fed to suit all palates and all purses’. There is a theory that the word ‘Cockney’ is derived from the Latin ‘coquina’ (cookery) at the time that London was widely praised for its cook shops. Later in the thirteenth century the river banks were taken over by vintners and their wine vaults. 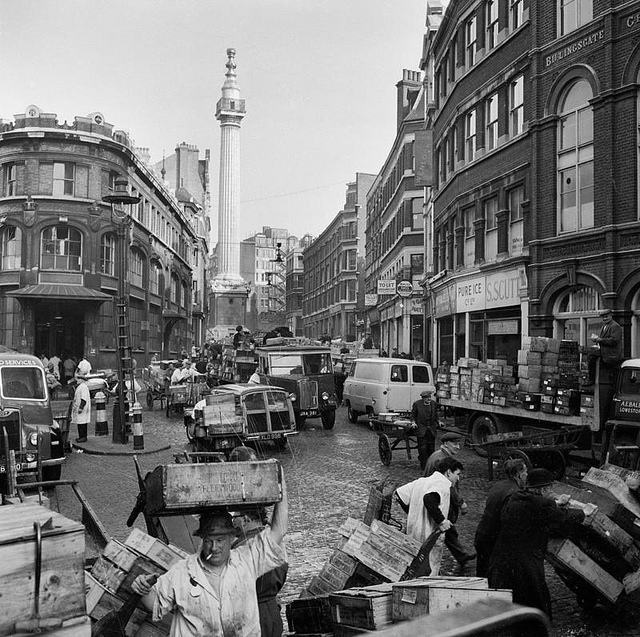 The cooks packed their pots and pans and moved elsewhere, to Eastcheap and Bread Street. Connected to all this is the name of Geoffrey Chaucer. He was born in the parish of St Martin Vintry into a prosperous Suffolk merchant family which had been engaged in the export of wool to the Low Countries and the import of wine. His great-grandfather Andrew of Dynyngton was also known as Andrew the Taverner, and most likely kept a tavern there. 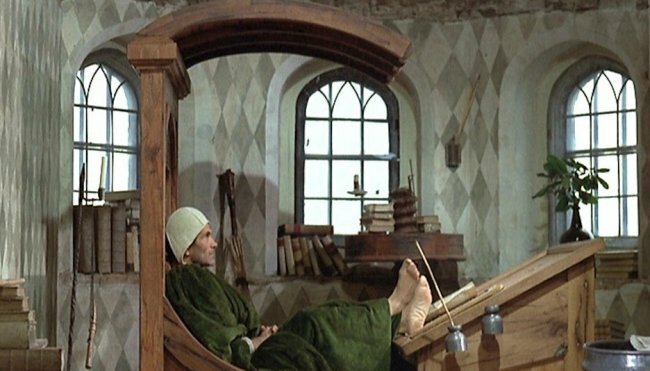 The move to London was made by Geoffrey’s grandfather Robert Dynyngton, known as Robert Malyn le Chaucer (that name, meaning ‘maker of shoes’, may well have been adopted by Robert on the death of his employer, the mercer John le Chaucer). 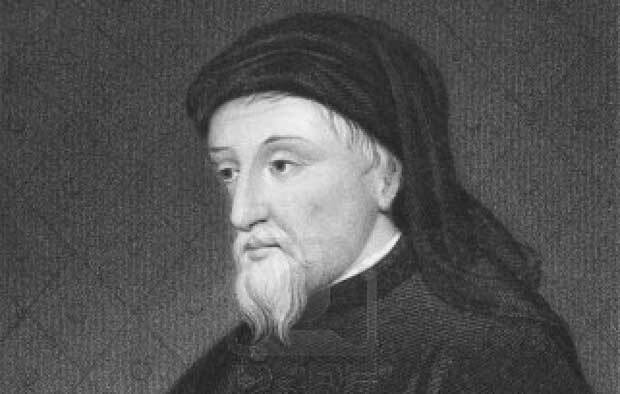 Robert’s son John Chaucer became a prominent London wine merchant and an influential freeman of the city. Young Geoffrey Chaucer was much aware of the link between tavern and creativity. 04 Before the fourteenth century, popular uprisings tended to operate on a local scale. This changed when downward pressures on the poor resulted in mass manifestations of resistance across Europe. In the 1320s, beginning as a series of scattered rural riots, the peasant insurrection in Flanders escalated into a full-scale rebellion that dominated public affairs for nearly five years. Between May and August 1381 England experienced a popular uproar of dramatic severity. 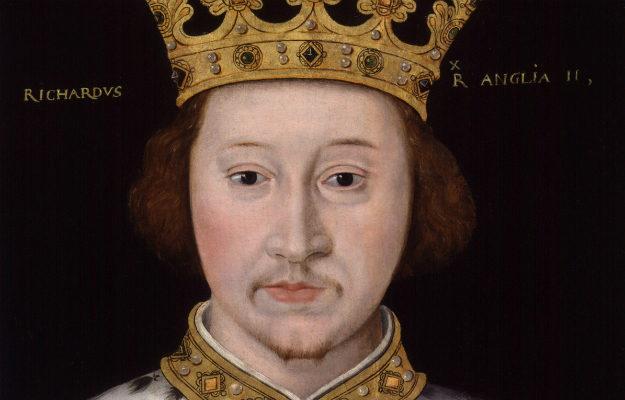 Rioters rebelled against the landowning classes and the incompetent government of Richard II. They murdered the Archbishop of Canterbury, the Treasurer of England, numerous lawyers and royal servants, and laid siege to the Tower of London. The spirit of rebellion lasted all summer and was recorded with horror by contemporaries, including Geoffrey Chaucer, John Gower and the chroniclers Thomas Walsingham and Jean Froissart. That the rebels marched from country to capital was a new phenomenon. This was the first manifestation of urban mob violence in England. A specific target of the crowd was London’s immigrant population. The Peasant’s Revolt had begun in the Essex village of Fobbing in May of that year. It started with the arrival of a Royal commissioner, John Bampton, enquiring into tax evasion. Unrest spread quickly through the county and into Kent. In early June Wat Tyler joined the uprising in Maidstone and assumed leadership of the Kentish rebels. He marched his men into London who left a trail of destruction behind them. They burned down the Palace of Savoy, home of the hated John of Gaunt. The latter was the fourth son of Edward III and Philippa of Hainault and took his name from his godfather, John, Duke of Brabant, one of Edward’s allies in the Low Countries: Gaunt is a corrupted form of Ghent. The rebellion soon appeared to be out of control. A horde of drunken men went in search of immigrants. The massacre of Flemish citizens took place in the neighbourhood of St Martin’s Vintry. The area was a known haunt of Continental merchants and was located one block down Thames Street from the house of John Chaucer, father of the author. Dozens of Flemings were dragged from the sanctuary of the city churches, beheaded, and their bodies left to rot. Nobody was spared during that violent outburst, except those who could plainly pronounce ‘bread and cheese’, for if their speech sounded anything like ‘brot’ or ‘cawse’, off went their heads, as a sure mark they were Flemish. One of the victims was merchant and financier Richard Lyons. Most likely of Flemish descent, he was killed in Cheapside on 14 June 1381. At his death he held lands in Essex, Kent, Suffolk, Surrey, Sussex, Middlesex, and Hertfordshire, as well as London property which included a large house in Thames Street. Lyons had been engaged in the exercise of the sweet wine monopoly. One of the leaders of the London riots, afterwards executed for his involvement, was Jack Straw. Geoffrey Chaucer refers to the massacre of Flemings by Straw and his gang in ‘The Nun’s Priest’s Tale’. Jean Froissart’s Chronicle is a crucial source for students of the first half of the Hundred Years’ War. The author originated from Valenciennes and had started his working life as a merchant. Having become a clerk, his skills were soon recognized and he was employed by Philippa of Hainault, Queen Consort of Edward III of England, as court poet and historian. 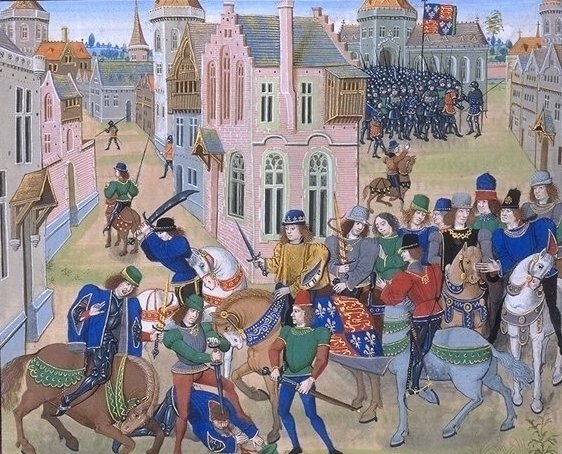 The Chronicle depicts the rebellion – Froissart describes Wat Tyler as a ‘tiler of houses, an ungracious patron’ – and illustrates the latter’s demise. Having been summoned to speak with King Richard II at Smithfield on 15 June 1381, Tyler outlined the rebels’ demands, which included the abolition of serfdom. A fracas then ensued, allegedly because Tyler kept his head covered in the King’s presence, leading the Mayor of London, William Walworth, to try to arrest him. In the struggle between the two men, Tyler was wounded. The other rebels quickly dispersed, having been granted a royal pardon. Tyler was dragged from the nearby hospital of St Bartholomew, and summarily executed at Smithfield. A lavishly illustrated edition of the Chronicles in four volumes was commissioned by Louis of Gruuthuuse, a nobleman and bibliophile from Bruges. 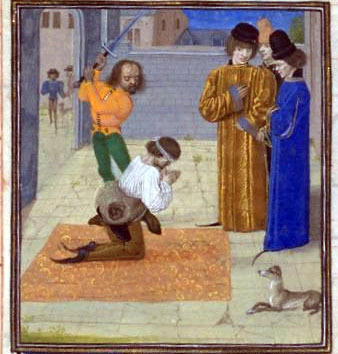 The four volumes are now in the Bibliothèque Nationale and contain 112 miniatures of various sizes painted by some of the best Brugeois artists of the day including splendid images of the meeting between Richard II and the rebels and the murder of Wat Tyler in the style of Flemish illuminator Loiset Liédet. The London cityscape figures splendidly in the background of both scenes. 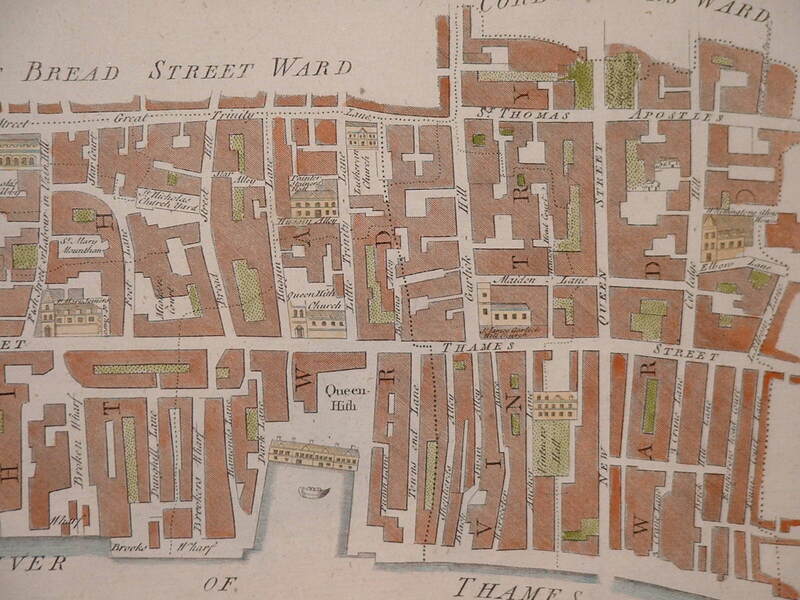 It may be coincidence or it may be a distant reminder of disturbances in the area, but towards the end of the fifteenth century Thames Street became a centre of legal printing and documentation. 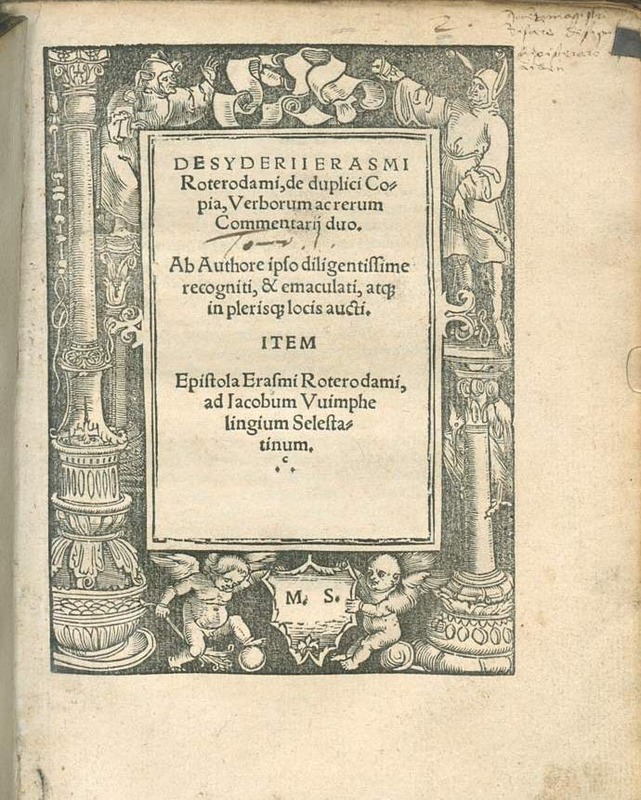 The very first book printed in London was Antonius Andreae’s Quaestiones super XII libros Metaphysicae Aristotelis. Dating from 1480, it is a Latin commentary on the metaphysics of Aristotle. Its publication was financed by the draper William Wilcock. 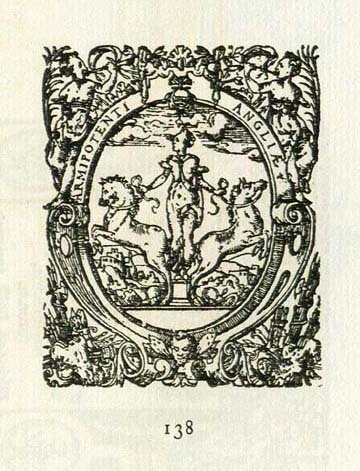 The printer of this work went by the name of Johannes Lettou. He may be the same Johannes who worked in the previous years in Rome, mainly for the papal Curia. Apart from the colophons in his books, Lettou’s name is known from a register of aliens in which he is recorded as head of a household of German printers living in what is now Lower Thames Street. A member of this household was William de Machlinia [Maclyn], with whom Lettou formed a partnership in about 1481/2. Their first publication was the Abbreviamentum statutorum, a handbook for lawyers that contained summaries of the laws of the land, alphabetically arranged by subject. The partners published in the following years at least five books of common law. They include two editions of Sir Thomas Littleton, Tenores novelli, in 1482/3 and 1484. Their final joint publication was a full edition of the parliamentary statutes from the reign of Edward II, Nova statuta, during the printing of which Lettou is thought to have died. William de Machlinia continued the business alone for another few years in which he published an edition of the statutes promulgated by the only parliament of Richard III in 1484/5 – one of the earliest examples of an official publication. In March 1486 De Machlinia printed the bull in which Pope Innocent III granted dispensation for the marriage of Henry VIII and Elizabeth of York. There was an old tradition for legal books, manuscript and print, to be richly decorated. 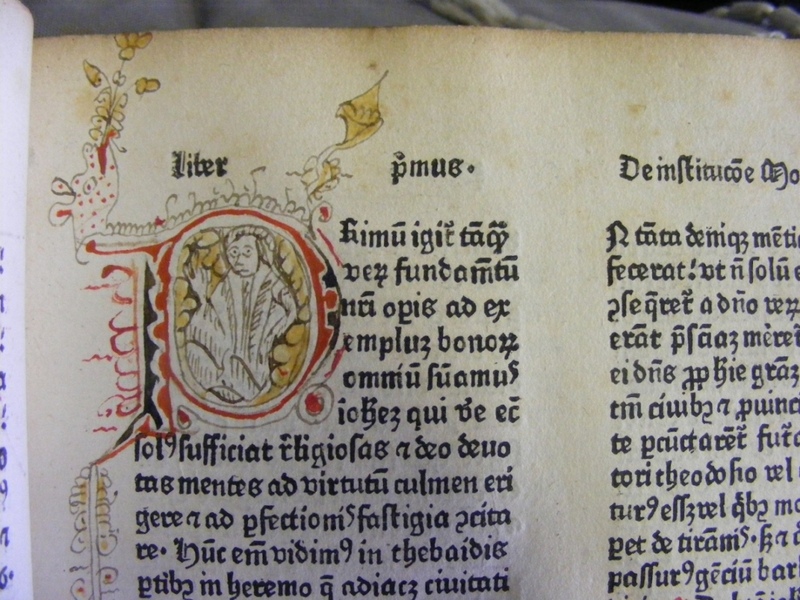 Lettou and De Machlinia made a gesture for honouring this tradition, for many copies of their books are decorated with red and blue initials. The presence of printers in Thames Street was continued by the eminent Henry Bynneman who, using his familiar sign of the Mermaid, had premises here. Motto to the press was ‘Omnia tempus habent’, which is the opening phrase of a passage in Ecclesiastes III and translates as ‘To every thing there is a season [and a time to every purpose under the heaven]’. Thames Street has certainly served a variety of aims and purposes over is long history. Elizabeth’s reign was a period of a great expansion of Italian culture in England in spite of Puritan suspicions. 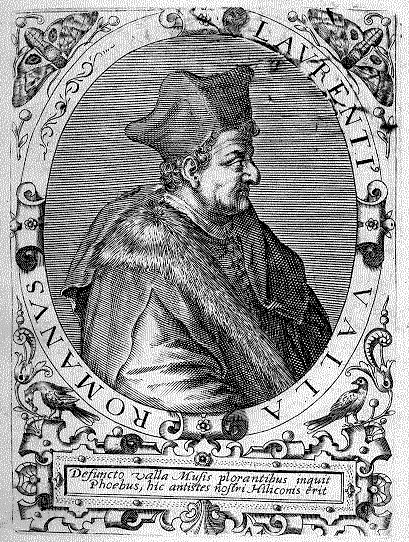 In the 1560s a number of Boccaccio’s vernacular works appeared in English translation and Bynneman’s press was active in publishing those. Giovanni Boccaccio was a sophisticated Florentine who performed various diplomatic services for the city government. He was above all a talented urban writer. The background for his Decameron is the Florentine plague epidemic of 1348 (in a sense this is the first urban disaster story). Throughout the narrative urban values of quick wit and intelligence are treasured, while stupidity and dullness are punished. This city orientation was an emerging feature of Europe fiction and Boccaccio strongly influenced its development. Geoffrey Chaucer was intrigued and inspired by Boccaccio’s work. His Canterbury Tales also uses the concept of a large story as the framework which includes all other tales allowing the author to explore a wide range of experiences, perspectives, themes and opinions. Fluent in French, conversant in Italian and widely read, he was open to assimilate the rich domain of Continental literature. Chaucer masterfully adapted Boccaccio’s urban passion. The city was about to take centre-stage in European literature. A pamphlet is a short piece of polemical writing, printed in the form of a booklet and aimed at a large public. The character of a pamphlet is oppositional, its contents more often than not politically subversive. Pamphlets are circulated for their impact upon public opinion. The English word pamphlet entered the vernacular in the fifteenth century. Early printers used black-letter (or Gothic) type for news pamphlets, a typeface generally reserved for ballads, proclamations, and other publications intended for a wide audience. Pamphlet writing rose in importance with the growth of the letterpress. Pamphleteering thrives in an atmosphere of controversy. During the mid-seventeenth century French Fronde more than 5,000 political pamphlets appeared (called ‘mazarinades’ after their usual subject, Cardinal Mazarin). One legacy of the French Revolution is a substantial body of pamphlet literature. The most effective political pamphlet ever produced was Thomas Paine’s Common Sense (1776). This passionate plea for American independence sold 100,000 copies within a period of three months. Until the emergence of the mass media, the pamphlet remained an important vehicle for shaping public opinion and expressing political dissent. In the history of censorship, it was the pamphleteers who suffered the most vicious attacks on both work and body. Queen Elizabeth never married. Until bearing a child became impossible, she considered several suitors. Her last courtship, ending in 1581 at the age of forty-eight, was with François, Duke of Anjou, who was her junior by twenty-two years. In August 1579, Cambridge-educated Puritan pamphleteer John Stubbe wrote The Discoverie of a Gaping Gulf whereunto England is like to be swallowed by another French Marriage, in which he objected to Elizabeth’s proposed marriage with Anjou. He argued that it was against God’s law for a Protestant to marry a Catholic. Moreover, English values, customs and morality would be undermined by mixing with the French. National identity is a serious matter – then and now. The book was printed by Hugh Singleton. Elizabeth was incensed by the publication and a proclamation was issued prohibiting its circulation. Copies of the pamphlet were publicly burned. 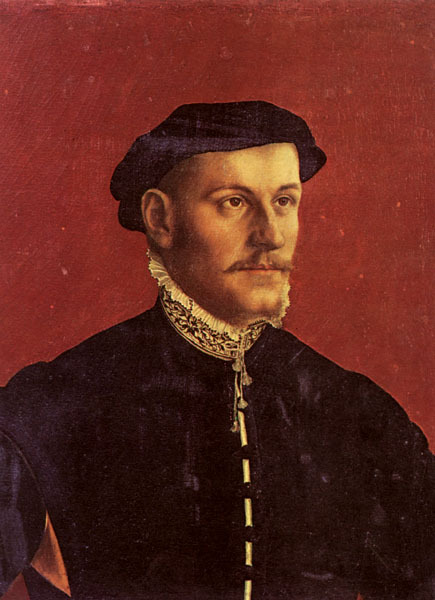 On 13 October 1579, writer and publisher were arrested. Elizabeth wanted to hang them both by Royal prerogative, but agreed instead to their trial for felony. The jury refused to convict. The accused were charged with conspiring to excite sedition. They were sentenced to have their right hands cut off, though it appears that Singleton was pardoned because of old age. The sentence was carried out at the market place in Westminster. It took three blows to chop off Stubbe’s hand. Surgeons were present to prevent him bleeding to death. He subsequently signed his name ‘John Stubbe, scaeva’ – the left-handed. Why were punishments so severe for pamphleteers who responded critically to public or political affairs? The authorities lived in fear of the ‘lethal power’ of the printing press. Writing rebellious pamphlets was a criminal act to be punished by public humiliation and physical marking. The aim of punishment in general was to set a disturbing example to others to restrain from criminal or subversive activity. The legal spectacle was designed to shock and prevent. The law was about impact. Early descriptions of hell gave precise descriptions of punishments for specific sins. These were detailed catalogues of crime and its consequences. Temporal and ecclesiastical courts followed a similar line of proceedings. Every potential criminal knew exactly what to expect if he/she was caught. Punishment was a public affair. It was a spectacle, a drama, attended by large crowds who were there to witness that justice had been done. To the pamphleteer, writing controversial documents was a serious and dangerous undertaking. It did not stop authors from expressing their criticism or concern in print. Far from it. The seventeenth century was the age of the pamphlet. London was the centre of printing activity. There, during the time when censorship laws were enforced, twenty formally licensed printers were the only authorized publishers. Of course, there were far more than just twenty printers at work. By the beginning of the seventeenth century, the capital housed several hundred unlicensed printing presses, and by the middle of the century, printing facilities were to found in a range of locations outside London. However, the cost of printing remained relatively high. It was not until the 1620s that less expensive type-face technologies reduced the cost of production. This coincided with the revolutionary unrest that would lead to the Civil War. The printing press played a significant role in the outbreak of armed conflict. The most direct form of expression was the pamphlet. Once printed, a pamphlet would be sold on street corners and in coffeehouses. Pamphlets could easily be transported to more distant locations. The ever increasing level of literacy allowed the messages of printed pamphlets to spread to all corners of the country. It became impossible to maintain the rigid censorship of old. Regulations dating from the sixteenth century required that every prospective publication must be licensed by a censor and then recorded in the Stationer’s register. After 1637 printed materials had to include the name of the person who authorized the publication. Enforcement of these laws went under the jurisdiction of the Star Chamber (a Soviet sounding name if ever there was one) which sat at the Palace of Westminster. The court was set up to ensure the enforcement of laws against prominent or wealthy people who otherwise may escape justice. Court sessions were held in secret and evidence was presented in writing. There was no right of appeal, there were no juries. The court could punish offenders with fines, imprisonment, or corporal mutilation. King Charles I used the Court of Star Chamber as a political tool during the eleven years when he ruled without a Parliament. The Chamber became notorious for judgments favourable to himself and to Archbishop Laud. Their Puritan critics were treated brutally. In his campaign for church uniformity, Laud dismissed nonconformist ministers and suppressed Puritan preachers. In November 1630, Alexander Leighton was brought before Star Chamber for circulating a petition that demanded the abolition of episcopacy. He was sentenced to be flogged, mutilated and imprisoned for life. Leighton was the first of many Puritans to be punished for their beliefs during the 1630s. In June 1637, lawyer William Prynne, clergyman Henry Burton and physician John Bastwick were prosecuted by the Chamber for publishing pamphlets that criticized Laudian doctrines. All three were sentenced to be stood in the pillory. The letter S and L were branded on William Prynne’s cheeks (Seditious Libeller: he would later say that the letters stood for ‘Stigma of Laud’). So large was the crowd which flocked to see William Prynne branded that Sir Kenelm Digby complained that even the appearance of royalty would bring out fewer people. The Chamber also ordered the physical mutilation of Burton and Bastwick. They had their ears cut off. An account of the execution has been left by John Rushworth, Oliver Cromwell’s personal secretary: ‘The executioner cut off [Burton’s] ears deep and close, in a cruel manner, with much effusion of blood, an artery being cut, as there was likewise of Dr Bastwick. Then Mr Prynne’s cheeks were seared with an iron made exceeding hot which done, the executioner cut off one of his ears and a piece of his cheek with it; then hacking the other ear almost off, he left it hanging and went down; but being called up again he cut it quite off’. The punishments became the focus for popular demonstrations against Laud and made Prynne, Burton and Bastwick into Puritan martyrs. The practices of censorship and punishment became hotly debated issues. Early in 1641 Parliament decided to dissolve the Star Chamber. From that point until the Royalist regained control over the press in August of 1642, England witnessed a participation in national politics as never seen before. The statistics are staggering. The British Library holds the so-called Thomason Tracts, one of the most important sources relating to the English Civil War. These are a vast collection of printed pamphlets, books, and newspapers, printed in London between 1640 and 1661, originally brought together by bookseller George Thomason. 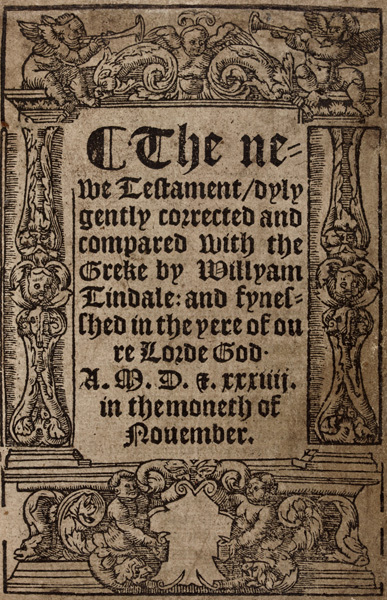 An analysis preserved in the collection shows that although only twenty-two pamphlets were published in 1640, more than 1,000 were issued in each of the succeeding four years. Once censorship was abolished, fear of repression and mutilation disappeared, and all brakes were taken off. The age expressed itself in a flood of hostile pamphlets and an unprecedented violence of words. In contemporary terms, the pamphlet was a petrol bomb of controversy. The two houses at no. 106 and 107 in High Street, Oxford, originally formed one large tenement known as Tackley’s Inn. It is one of the few examples of a medieval academic hall that has survived. Until the sixteenth century undergraduates and most graduates lived not in colleges, but in similar academic halls which were scattered over the university cities. This was the first piece of property that Adam de Brome acquired when he set to found Oriel College in Oxford. By the mid-fifteenth century the property had been divided into two parts. The western half was Tackley’s Inn proper (also known as Buckley Hall), which consisted of a dining-hall; the eastern half was known the college tavern, the taberna nostra. In 1549, the hall and shops in front were leased to Garbrand Harkes, who sold books from the ground floor and wine from the vaulted cellar. He had been dealing in business in Oxford since 1539. The family remained in business for over a century (1677 to be precise). 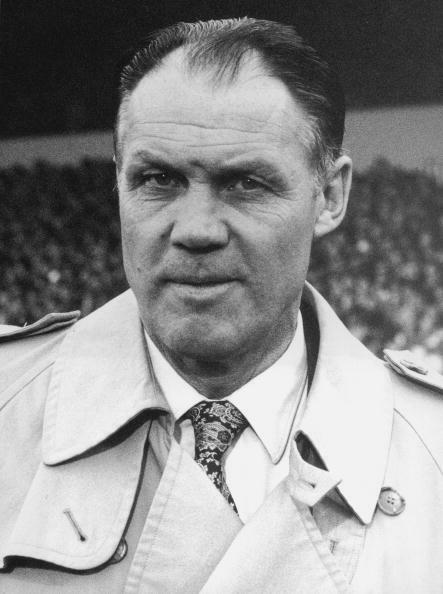 Gar­brand Harkes [later Herks Garbrand] was a Protestant refugee from the Low Countries. He was active in rescuing medieval manuscripts from the destruction of monasteries in the time of Edward VI’s commissioners. Manuscripts ex officina Gerbrandi biblio­polae are cited by John Bale in his Index Britanniae Scriptorum. He also saved a ‘cart load’ of books and manuscripts destined for destruction by zealots from the library of Merton College (many of which eventually ended up in the Bodleian Library). During the suppressive Catholic reign of Mary, Buckley Hall became a ‘receptacle for the chiefest Protestants’ who worshipped in the cellar. In the reign of Elizabeth he com­bined the business of book- and wineseller. It was a highly successful family-business, most of his numerous sons and grandsons becoming booksellers, dons, and prebendaries. 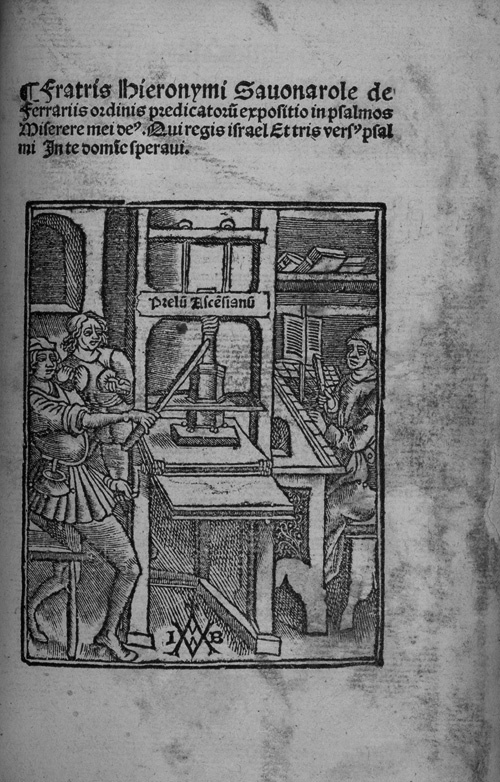 In 1471, printer Wynkyn de Worde (d.1535), working as an apprentice to Johannes Veldener in Cologne, met William Caxton on his visit to the city and agrees to join him in Bruges. 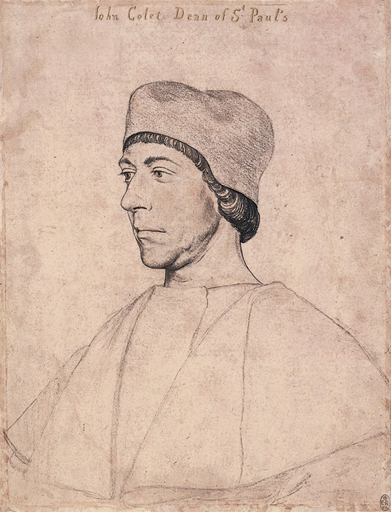 He subsequently accompanied Caxton to Westminster (1475/6). During his career as a printer his name appears in a number of variant forms: Winandus van Worden, Johannes Wynkyn, Wynkyn Vort and even William Wykyn. His Christian name was most likely Wynkyn, whilst Worde indicates his family’s origin. Caxton’s death in 1492 changed Wynkyn’s life. Although the former had a daughter, Wynkyn took over the business. Using Caxton’s device, founts and woodcuts, he rapidly expanded the publishing house. He turned away from the predominantly court material Caxton favoured and concentrated on religious, popular and educational works instead. 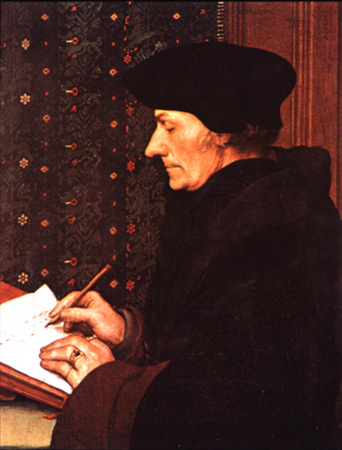 Wynkyn was particularly active in the field of grammar, working with many of the outstanding grammarians of his day and acting as their publisher. He maintained close contacts with the Low Countries and fellow immigrants. He had trading associations with the York printer Hugo Goes and employed a number of men with Dutch sounding names such as Robert Maas and others. It is usual among critics in the field to present Caxton as a scholar and man of letters whilst considering Wynkyn a mere artisan. Considering the variety of books and studies he published and the vision he showed in expanding the business, such simplifications are far from helpful to the student of the history of printing and publishing.